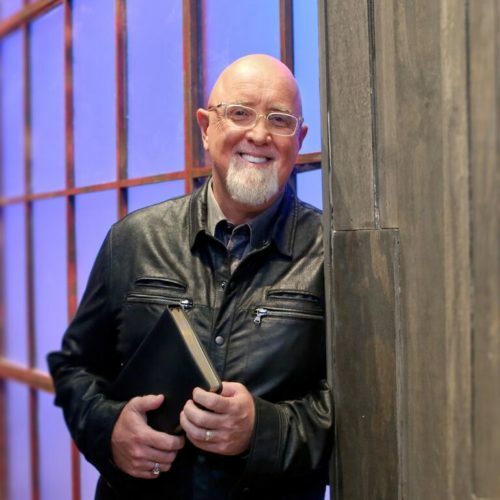 Last night, several sources told me that James MacDonald had resigned. I asked church spokeswoman Sherri Smith about those reports and she responded that MacDonald had not resigned. However, MacDonald was about to make a change. We have tried a variety of different strategies to address external criticisms over the past several years. It has become apparent that these efforts have failed to fully identify and address our personal failures, sins, and errors in leadership, thus perpetuating a continuation of the criticism. In prayerful reflection upon all that has happened and how we got here, a private meeting of the Executive Committee of the Elders on Monday, January 14, led to the decision to be part of a peacemaking process that seeks both reconciliation and change where needed, which was reviewed by the entire Elder Board last night. While we had hoped that successful audits and re-examined/confirmed ECFA compliance would help heal some relational wounds, it simply hasn’t happened. As part of the peacemaking process, Pastor James is taking an indefinite sabbatical from all preaching and leadership at our church in Chicago. He has recused himself fully from any direction of this peacemaking process, other than to participate when and how requested. He may continue preaching at Harvest Naples through some of the winter months and will be on sabbatical, pending the completion of the reconciliation process and a full report to the congregation. Please be in prayer for Pastor James and Kathy through this season. We are asking the Lord to lead us as we engage in this peacemaking process. The Lead/Campus Pastors will continue to lead the day-to-day ministry of the church, and we ask for your support as they do so. Campus Pastors will be present and available during normal Wednesday ministry tonight on all campuses. Christ is all He promised to be and more… “He makes me lie down in green pastures. He leads me by still waters. He restores my soul” (Psalm 23:2-3). Please pray for me and Kathy as we step away from the work, so God can do all He wants to do in the worker. HBC and MacDonald recently dropped a defamation suit against two bloggers, their wives and journalist Julie Roys. The church and founding pastor have been under pressure amid allegations of financial mismanagement, lack of transparency, and authoritarian leadership style. MacDonald’s move is reminiscent of Mark Driscoll’s sabbatical before he resigned as pastor at Mars Hill Church in 2014. As noted in a previous post, the path of HBC and MacDonald seems similar to Mars Hill and Driscoll’s. Throughout 2014, Mars Hill tried many things to address criticism without success. Focusing on Driscoll, the ex-members and ex-elders became increasingly vocal and public. The same thing is happening now with HBC. One hopes that HBC can review the Mars Hill timeline and demise with an eye toward learning something of value. If history repeats itself, the multi-site HBC may splinter into local churches as did Mars Hill. Sources have told me that such an outcome has been discussed by HBC leaders. Previous Previous post: Why Aren’t Evangelical Trump Supporters More Curious About Trump’s Behavior Toward Russia?